The Frugal Family Life: *HOT* $1/1 Hinode Rice Coupon = FREE at Nichols! 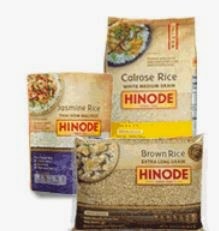 Click here to print $1 off any One Hinode Rice Product (10 pound and under). This is priced at $1.99 regular price at Nichols which means FREE after the coupon doubles! !